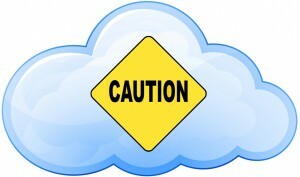 On any typical day lately, I hear people talking about the Cloud and how wonderful it is. And truthfully, it is great. But I also surprise them when I explain why Photo Nanny doesn’t store all our photos in the Cloud. I find many people are unclear about the Cloud and how at the present time it’s not quite ready for prime time long-term storage….and it’s certainly filled with inefficiencies even though its “mission” is to simplify life. That said, I’m writing this blog to explain some of the confusion I hear from so many. I hope to clear up some misconceptions and to prevent some heartbreak. I’ve been working with iCloud for sometime and felt confident I understood the pitfalls, but to ensure I explained them accurately, I met with a “Genius” at Apple this week to make sure I had a clear understanding of iCloud storage and Photo Stream…all the ins and outs. In a nutshell, the biggest thing I hope people will understand about iCloud is that IT IS INTENDED FOR CONVENIENCE…NOT FOR LONG-TERM STORAGE. Think of it as a temporary parking place. If you stay parked there too long, you’ll get booted…something no one wants to experience. So, why is it temporary? I have to assume it’s temporary at this point because they haven’t figured out a way to make it permanent on an efficient/cost-effective basis. Maybe someday that will change, but for now iCloud is a CONVENIENCE APPLICATION. It’s Apple’s solution to synchronizing all your Apple devices. In fact, I find it particularly disturbing that you can log in to iCloud.com from a PC, but you cannot see your photos that are stored in iCloud the same way you see your email, contacts, calendar, notes, etc. It seems a giant void. 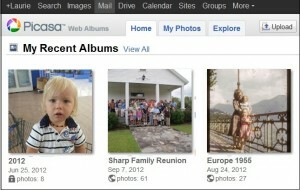 In fact, the only way I can “see” my iCloud photos in an application other than Photo Stream is to view them in iPhoto. It’s inconsistent with all the other Cloud applications available from any PC with an internet connection. When it comes to the safety of my data, keeping three synched copies (meaning three devices with the same files on them) means having to periodically plug the external drive into my computer to update/backup any changes since my last backup, and I need to periodically do the same with the remote hard drive. If I’m taking lots of photos (on a trip or something) I might do the backup to My Passport and the remote drive as soon as I return from my trip. On an ongoing basis, I might bring the remote drive to my office once a month and do a backup. Unlike iCloud with automatic uploads of files, some might call this “manual” backup an “inconvenience.” It requires I actually do something…. But the benefit of the inconvenience far outweighs what can happen if I don’t want to make any effort. Keep in mind, I’m describing worst case scenario here, too, because you can have an external drive attached to you desktop or laptop and have automated backups each evening to that drive, so then the only “hassle” part of this manual method is the offsite updates periodically. Truthfully, not too bad given the security of knowing you have all your photos safe and readily available when you need them. No on else is controlling the storage. I like that. In the case of iCloud, the photo I take on my iPhone automatically “goes out” to the Cloud and shows up on my devices. But it is not ON the devices. And there are limitations to the Cloud storage (namely, it only shows the most recent 30 days’ photos and/or up to 1000 images.) So, if I’m on a trip and taking 300 pictures a day, four days into my trip, the images will “roll off” iCloud. THAT’S THE OLD “BOOT” I WAS TALKING ABOUT FOR THE TEMPORARY PARKING. Now keep in mind, if you take photos with your iPhone (and you have enough storage) the photos are safe unless you lose your phone or it becomes inoperable. (The files on your phone are essentially saved on a hard drive of permanent storage until deleted.) But the kicker is if you don’t back up your phone (download the files) and you lose your phone or drop it and it dies, if you haven’t downloaded the files, you cannot rely on retrieving the files from iCloud if they’re over 30 days old or you’ve exceed the 1000 file limitation. It’s part of what alarmed me when a client recently told me the Apple Genius she worked with told her she never had to plug her phone in again. UNLESS SHE WANTS TO HAVE HER PHOTOS SAVED, HE’S RIGHT. Truth is, if you take photos on your iPhone, you should plug the phone into your computer periodically and download the files to your hard drive and then back them up to two other drives. At that point, who cares if the phone is stolen or breaks. You have your photos. One huge distinction between iCloud and Picasa web (Google’s cloud photo storage) is that Picasa’s storage is PERMANENT. They don’t have time limits or quantity limits. You simply purchase the amount of storage you need and it’s about as close to having a “remote” storage drive as anything. So, for the three-tier “protection” you could download the files from your phone to your hard drive, you could make a copy on your external drive and then use Picasa Web Album storage as your remote backup. (Keep in mind, Google/Picasa has just started really promoting their backup app (to compete with Apple’s Time Machine) and I have lots to say about those applications, but I’ll save that for another blog. For all the wonderful convenience that Cloud storage offers us on a daily basis, there are still many inefficiencies at this time (and I’ll save those details for an upcoming blog because I’m afraid I’ve already sent some of you to bury your heads from reading these mind-numbing details). But at this point, whatever you do, please plug your phone in, back it up to your local hard drive and enjoy the cloud for what it is without leaving yourself open to losing your data. I’ll continue to update this and give more details about Photo Stream and Picasa Web. Stay tuned..and stay safely backed up till technology offers us a really safe convenience option.